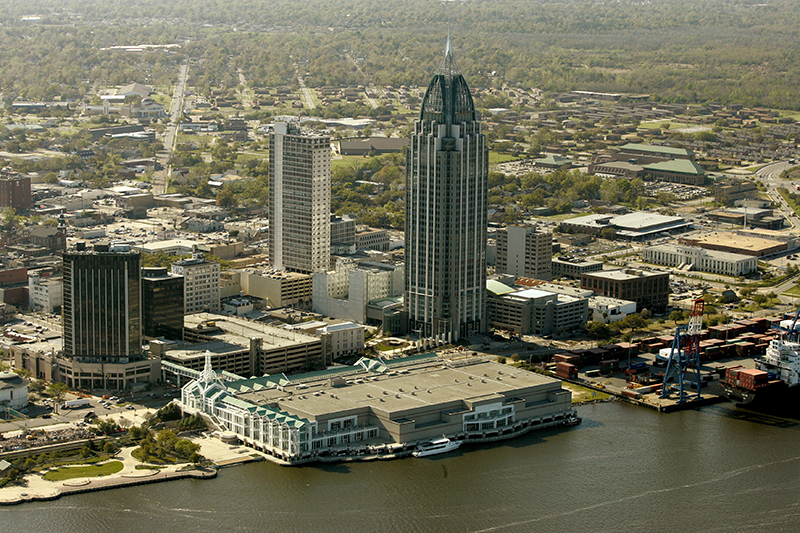 The city of Mobile, located in the southwestern corner of Alabama on the Gulf Coast, was founded by the French in 1702 and is the oldest city in the state. Mobile's importance in Alabama history centers on its status as a major port and as the scene of significant events during the civil rights movement. The city also was the first American locale to celebrate Mardi Gras. Courtesy of The Mobile Press-Register. All rights reserved. Used with permission. Photograph by John David Mercer.